One of the biggest advances in surgery over the last 20 years has been the development of keyhole (laparoscopic) surgery. Smaller incisions result in less pain, but is this always the best option? This article covers some of issues to consider when deciding about traditional open or laparoscopic surgery. Keyhole surgery, also known as ‘laparoscopy’, ‘minimally invasive surgery’ or ‘minimal access surgery’ is a surgical approach which avoids the need for large incisions. The surgeon makes very small incisions through which ‘ports’ are inserted into the patient which allow for the introduction of a small camera and instruments necessary to carry out the operation. ‘Laparoscopy’ or ‘laparoscopic surgery’ is the term specifically used for any keyhole surgery performed on the abdomen (tummy). 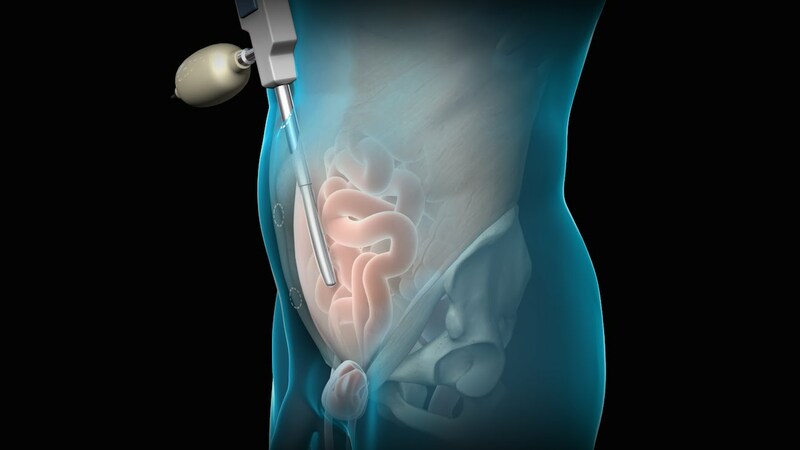 What are the Benefits of Laparoscopic Surgery? There are several benefits to laparoscopic surgery. The main advantage is that only small incisions are required. Whilst this is cosmetically superior, small incisions also result in less pain, a lower risk of developing wound infections and a smaller inflammatory response by the body. In general, this means that the time required to recover from surgery is less when compared to surgery requiring an open incision. For example, patients undergoing surgeries such as gallbladder removal (laparoscopic cholecystectomy) can now be discharged on the day of surgery and continue their recovery at home. When is Keyhole Surgery Not Appropriate? As experience and understanding of the effects of laparoscopic surgery grows, so does the ability to perform more complex operations. However, the most important factor that you and your surgeon must consider is safety. For example, if a patient is not fit or well enough to have a general anaesthetic (being put to sleep) for medical reasons, keyhole surgery will not be possible. This is because the surgeon uses carbon dioxide gas to inflate the abdomen and this process is too uncomfortable for the patient to withstand without a general anaesthetic. There are many reasons why laparoscopic surgery may be more difficult or technically challenging to perform. These include previous surgery or scar tissue (adhesions) and patient obesity, particularly in men. There are also specific conditions such as large hernias where keyhole surgery may not appropriate. All of these challenges are relative to your surgeon’s training, experience and ability in performing laparoscopic surgery, so it is important that you do our research. Is Laparoscopic Surgery as Good as Open Surgery? There is no simple answer to this question, as it depends on many factors. In many cases, laparoscopic surgery can provide a better view for the surgeon and as such can make the operation easier and enable the surgeon to undertake a superior operation. However, as mentioned above, there are circumstances which may make a keyhole operation more risky to perform than open surgery. In the vast majority of cases though, keyhole surgery is at the very least, as good as open surgery, with the added benefits of small incisions. What Operations Can Be Done Laparoscopically? Most operations on the abdomen can now be undertaken laparoscopically. This includes surgery to remove the gallbladder, repair hernias or to treat acid reflux and hiatus hernias. Our team is also experienced in undertaking more complex surgery such as those for oesophageal and stomach cancer. What Pain Can I Expect After Keyhole Surgery? Compared to open surgery, you should have less incision pain and as a result, should be able to return to your normal activities more quickly. Many patients report that the pain or discomfort they feel after surgery isn’t necessarily at the site of the incisions. It is important to remember that the actual operating is often done away from the incision site and is why pain or discomfort can sometimes be felt elsewhere. Another commonly reported symptom after laparoscopic surgery is shoulder tip pain or discomfort. This is due to irritation of the diaphragm by the carbon dioxide gas used to inflate the abdomen during the surgery. Whilst this discomfort usually lasts no more than a few days, to minimise this, it is extremely important that the surgeon releases as much of the gas as possible at the end of the operation. 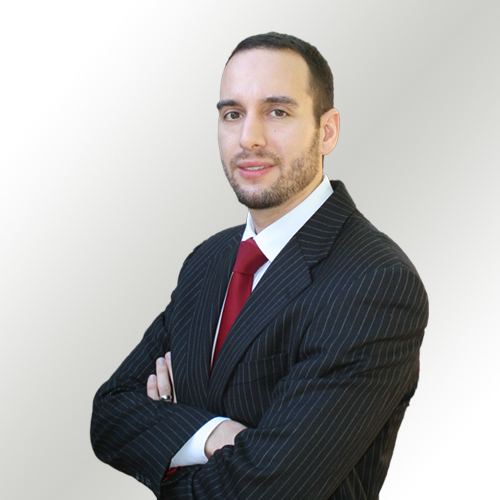 Mr Bilal Alkhaffaf is a consultant surgeon with a specialist interest in minimally invasive (keyhole) surgery. His area of expertise includes cancers of the upper gastrointestinal tract (oesophageal and gastric cancer), digestive conditions (acid reflux, hiatus hernia and achalasia), gallstones and hernias. If you would like to arrange a consultation with Mr Alkhaffaf, please call us on 0161 447 6766 or click here.